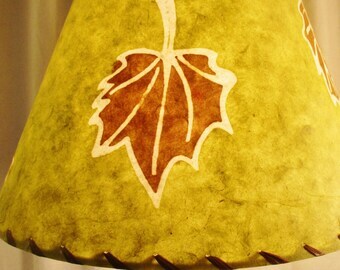 Like looking through the forest floor, this real pressed oak leaf lampshade sets an earthy atmosphere in your home. Large reddish brown fall oak leaves are interspersed with green oak and other autumn color leaves for a beautiful overlapping pattern. 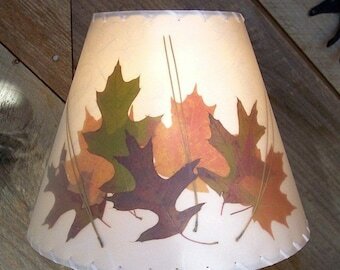 When your lamp is on, the layers of leaves show their veins, colors and details with a warm woodsy glow. 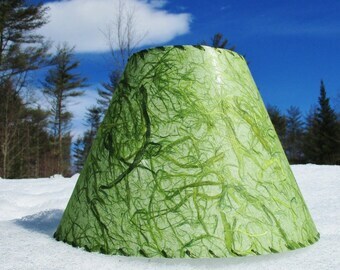 Botanical Lampshades have been made in Sandwich New Hampshire since 1950. 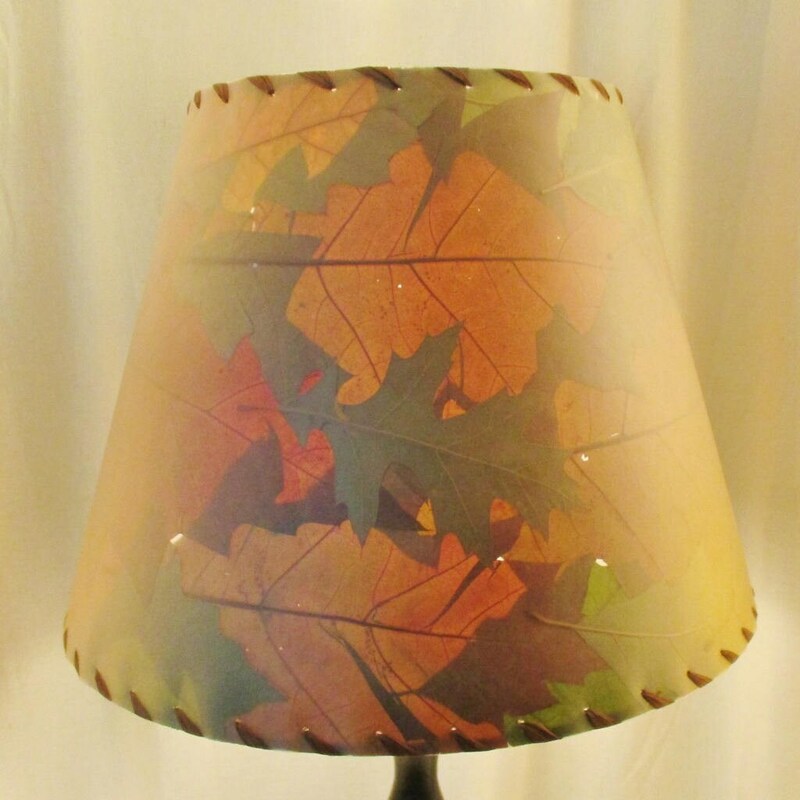 The pressed leaves are in between a styrene backing and a clear protective film, making these shades easily cleaned with a damp cloth for many years of use. The shade pictured is a 7" top, 12" bottom and is 9" tall, with a washer top for a lamp with a harp. Your shade will be made to order and will look similar but not exactly like this one. If you need a different size, or want a different type of leaves, please contact me for a custom order. Lampshades can not be returned. Please read my policies on lamp shades before purchasing.